Following a successful Hacker day at Hallam University we returned to Access Space. At this event we had met a fair few number of new people who showed interest in the group. Because the Mendel 90 had been transported around it needed some work doing to it. The printer did not seem to be homing it’s Z axis. It was soon apparent that one of the cables for the Z micro switch had worked its way off. This was an easy fix, the cable was re-soldered on to the micro switch. When we tried to home all of the axis, the Z axis did not want to move at all. On closer inspection, the right hand threaded rod was screwed in so tight at the bottom that the stepper motor was unable to move it. Once we had loosened the threaded rod the z axis were free to move. Before we were able to move the machine the Z axis needed to be levelled we did this by positioning the Z axis at about 100mm above the heated bed. Then using a spirit level placed on top of the extruder assembly, the Z axis was levelled by twisting the coupling on the threaded rod. We then cleaned out the extruder this was done with a small piece of flexible wire bent in to a long U shape. The extruder was then heated up to temperature. The extruders idler was then removed and the hobbed bolt was cleaned. The thin wire was then inserted down the extruder. The extruder was then turned off and left to cool by 20°c. 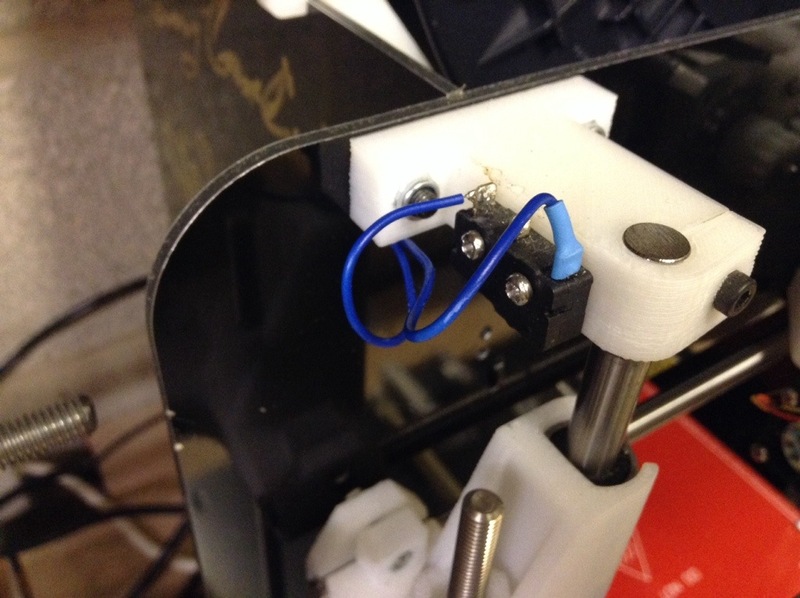 The wire was then removed from the extruder. This process was repeated several times. 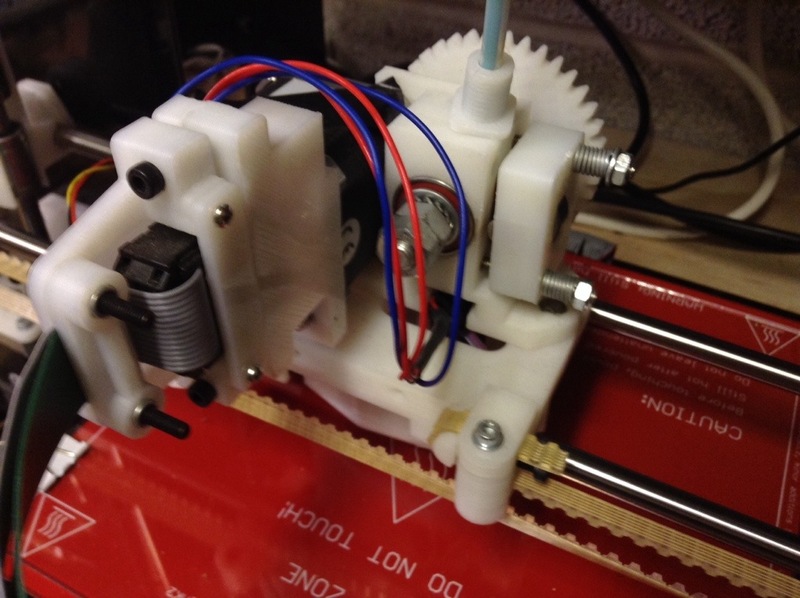 Once we had completed that we reassembled the extruder and pressed print. It worked just as new! We talked about doing something along the lines of hacking and maybe some Arduino projects, but they were only things that we drafted up at the meet up. If you can think of any other ideas regarding Festival of the Mind 2014 then let us know on Twitter @SHHMakers or our forum. We only recently found out about a company called ‘We Do 3D Printing’ who are based in Sheffield, they sell items and components for 3D Printers. The company has a online shop set up on eBay. Because of where Sheffield is located it is an ideal focal point for collaborating on projects as well as having places to use 3D Printers and Laser Cutters. We now have a build day planned for the 14th of December between 10am to 4pm. You can bring along your projects, get advice from other group members and have access to the Refab Lab in Access Space with the Laser Cutter, CNC Router, 3D Printers and more. Let us know if you are coming ether by our forum or on Twitter @SHHMakers. On May the 9th of the November the Sheffield Hardware Hackers and Makers participated in the Maker Day at Sheffield Hallam University. 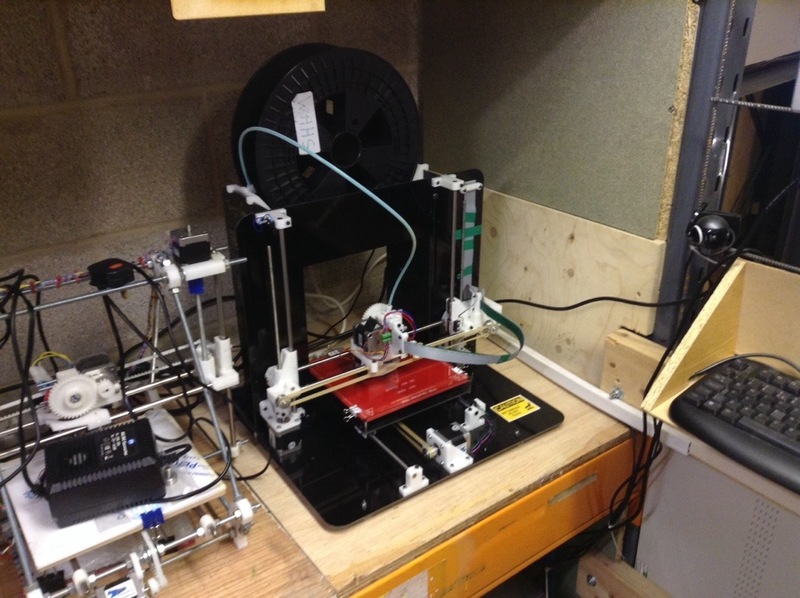 In this event we had three 3D printers, one of which was the SHHM’s Mendel 90. We also had a large collection of small projects that members had made (including a Geiger counter). As well as one or two Raspberry Pi’s. On top of this we had some Arduino projects witch featured some RGB LEDs. 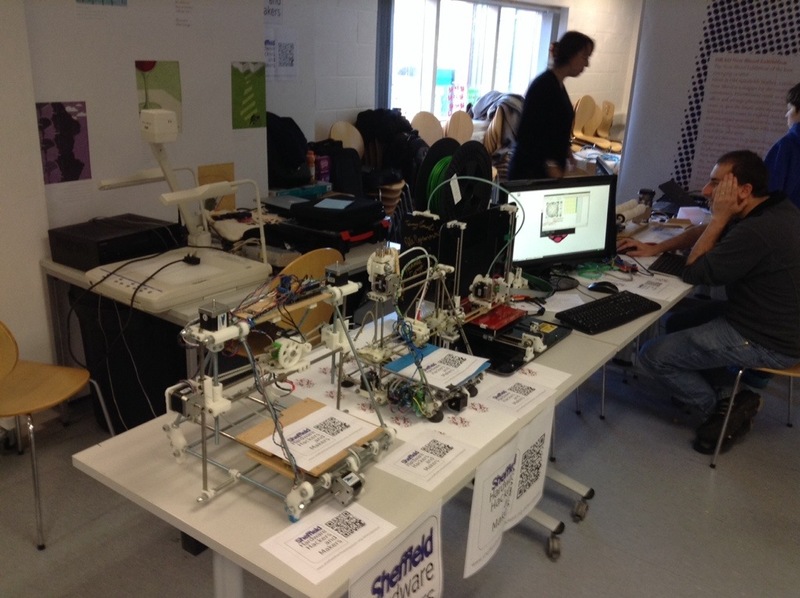 The three 3D printers that we had on display in the picture above where (from left to right): A Reprap Huxley, a Reprap Prusa Mendel and a Mendel 90. The Mendel 90 was being driven by a Raspberry Pi. The Pi had Print Run installed on it, the open source software for driving 3D printers with. This allowed us to have full control over the printer just as you would if you where using a computer. The slicer settings still needed setting up on the Pi, but you can still take a look at the time laps below. The printer was printing a small Android fridge magnet test piece. This 3D printer being driven by the Raspberry Pi, called a “Mendel 90” was built at a event called “Festival Of The Mind” this took place over two days on a weekend where 5 of these printers where built. 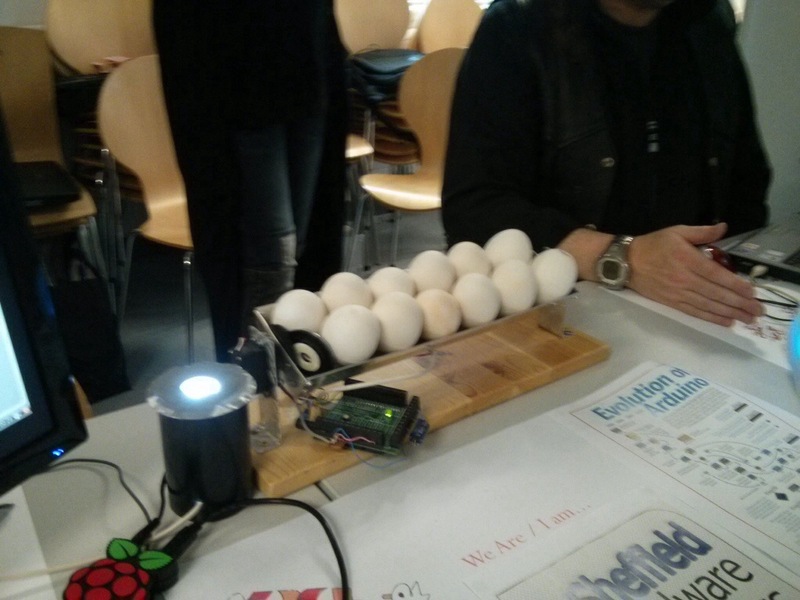 The selection of projects that members had brought along to the maker day included: A Geiger counter, Arduino controlled egg incubator and Arduino controlled ambient lighting. All of these kits had been made from scratch by group members. We also had another Raspberry Pi set up with Scratch on for people to play on and learn.